HIV or Human Immunodeficiency Virus attacks cells in the body. The cells HIV attacks are called T-cells or CD4 cells, which are responsible for fighting off diseases and infections. The more CD4 cells that die, the harder it is for our immune systems to fight disease. The HIV infection progresses in the body in three stages, the Acute Infection stage, Clinical Latency Stage and Acquired Immunodeficiency Syndrome or AIDS. Acute Infection Stage – For a 2-4 week period HIV is producing large amounts of itself in the body using CD4 cells. Many people develop flu-like symptoms during this period. Clinical Latency Stage – During this stage, the virus is living or developing in a person without producing symptoms. A person in this stage may experience mild HIV symptoms or none at all. AIDS – If the virus progresses untreated during the clinical latency period, HIV will eventually turn in to AIDS. When the number of CD4 cells has dropped to 200 per cubic millimeter of blood (200 cells/mm3) the virus is considered to have progressed to AIDS. In an uncompromised immune system, a healthy CD4 cell count ranges between 500 and 1,600 cells/mm3. A person with HIV is also considered to have AIDS when they have developed one or more opportunistic illnesses, regardless of their CD4 count. There is no cure for HIV/AIDS but if diagnosed early it can be treated and a person can live a near normal lifespan. 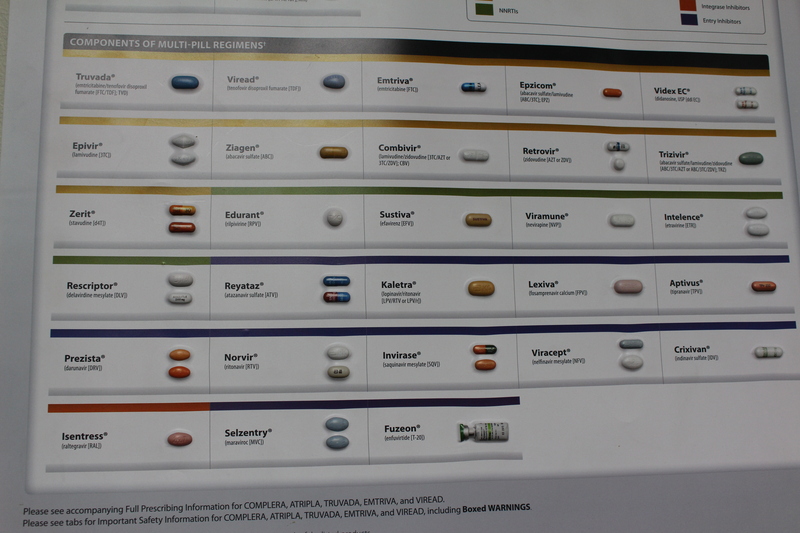 Antiretroviral Therapy or ART treats HIV. ART is a combination of medications that slow the production of the virus, and is applied in combination with a person’s treatment guideline, which include HIV drug resistance, your health (for example, kidney or liver disease) and lifestyle factors. It is possible for a person to live a long and relatively healthy life with HIV but they must stick to a rigid regimen of drugs and consistent lifestyle choices. We’re desensitized. There is no more coating life with high-fructose corn syrup and donut glaze. Images of African children (not country specific) with distended bellies and buzzing flies; next channel. The sun burnt homeless vet holding a sign asking for help. Oh good, the light is green. Miserable cats and dogs about to be put to sleep to Sarah McLachlan’s voice singing, “In the arms of an angel.” Television off, it’s time to go to sleep in our beds, which happen to be located under our roofs. The types of experiences that give us goose bumps, inspire deep thoughts and yield truths found only in the fuzzy area between logic and reason do not come from many places. I never would have guessed that it would come from a non-profit organization located in a San Bernardino strip mall like any other. 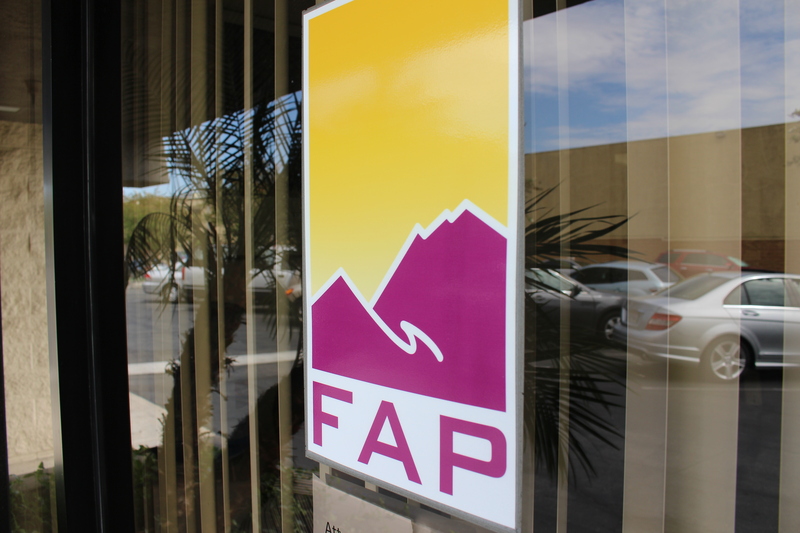 The Foothill AIDS Project (FAP), headquartered in San Bernardino, CA helps people patch their lives back together. Or for some, piece together a stable life for themselves. Make no mistake; the decision to walk through the doors of the Project is the first and most courageous step toward healing. The Foothill AIDS Project began as a grassroots movement. In 1987 a small group of friends got together and rallied around loved ones with HIV/AIDS. Working out of one member’s living room, the group gathered their own resources to help buy groceries, give rides to medical appointments, pay utility bills and even feed pets. 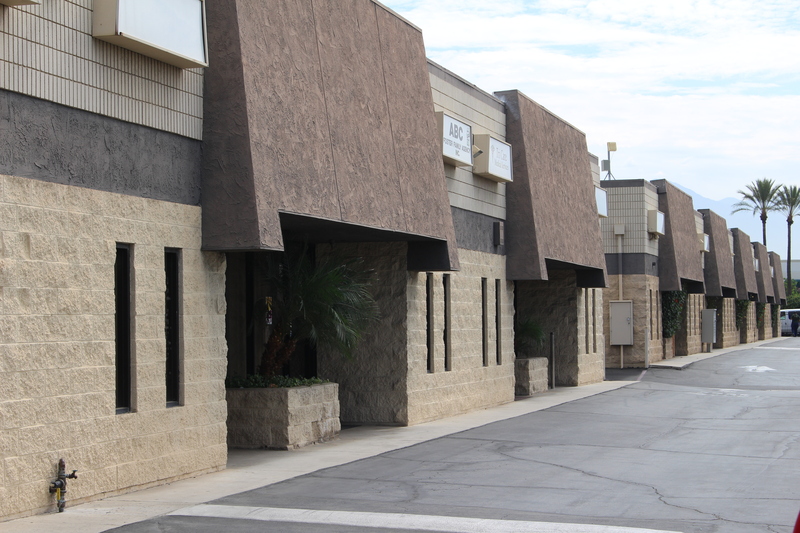 Today the project has offices in San Bernardino, Riverside, Claremont and Hesperia with 32 staff that reflects the diversity of their clientele. The project supports over 700 clients throughout eastern Los Angeles, San Bernardino and western Riverside counties. It now offers a wide range of integrated programs and services that spans three counties. Its goals are to empower its clients to manage their own long-term health goals and lifestyles. To do this, it manages and employs a variety of programs; a transportation program, housing assistance (emergency housing or section 8), substance abuse counseling, food program, relationships with clinics that provide primary care giving HIV services, individual counseling, group counseling, and anything that a client may need to get back on track. I visited their San Bernardino headquarters and met with four of their team members. We sat around a table in the back behind a counselor’s office and a room where support group meetings took place. To my left sat Michael Lewis, Fundraising Chair for the Project, a businessman with a get-it-done attitude and a little gravel in his voice. Next to him sat Maritza Tona, Executive Director, a woman who sees right through the fluff and calls it like it is with a Spanish accent. Seated next to her was Art McDoermott, Development Manager, a laid back, eloquent man with a mustache and a quick wit. Finally, next to Art and across from myself sat Marie-France François, MD, MPH and Director of Programs at the project. Marie wastes no time and speaks with a thick Creole accent; and like her colleagues, has an iron resolve, all doing whatever it takes to help their clients. 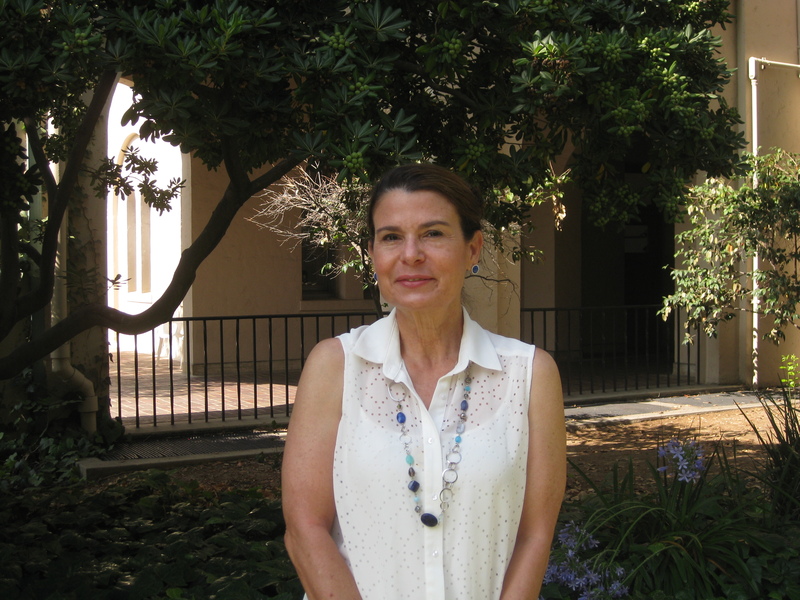 An alumna of the Loma Linda University School of Public Health, Marie received her MPH in global health (at the time International health) and began working for the project in the basement of a church in Claremont. Marie’s role is to evaluate the outcomes of services and programs. She sees all the records and gets the big picture, able to find what isn’t working, adapt programs taken from other areas and make them work with the conditions and population unique to the Inland Empire. Marie is proactive about creating programs and services or adapting services to meet the needs of their clients. FAP helps those people with little-to-no means of helping themselves. It recognizes that HIV may be one of many problems that people deal with. In the truest sense of the word, FAP treats the whole person. Calling a difficult part of life a ‘rough patch’ or saying we will get through something implies that we have experienced more stable times. Many of these people have no idea what stability looks like. Living in a state of crisis is what they have adapted to. An organization that seeks out its clients to try to help them is almost unheard of, but at the project, it’s business as usual. At one point, FAP took on a homeless shelter in Pomona, which was a non-HIV program, as a way to get access to the homeless. The theory being that they would be working with at risk populations who could be tested for HIV by offering food and other resources. 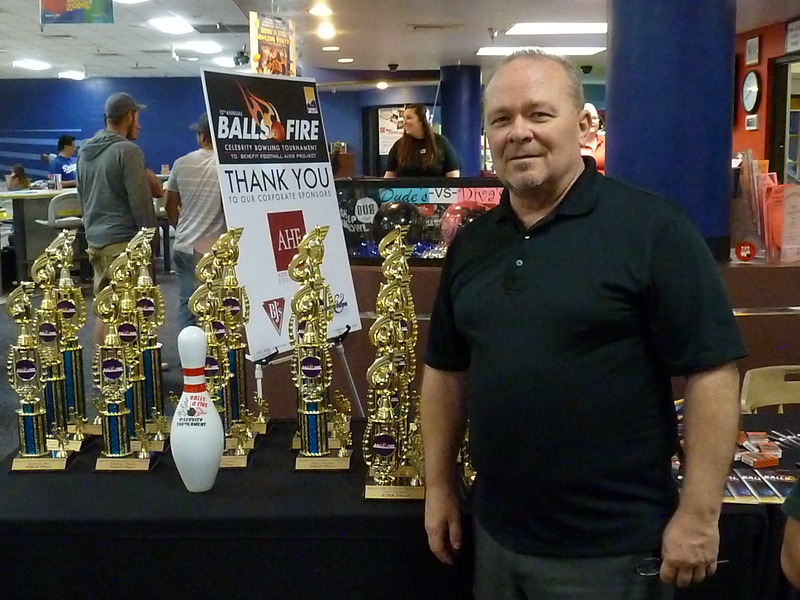 “It was a case where we were able to go outside of the HIV world to do something that I don’t know any other HIV organization would ever do or consider,” Mike says proudly. “Having come from Los Angeles and the HIV community, [FAP] is providing some of the best social services because of that patient focus. We are looking at the real reasons why people are getting infected, the real reasons people aren’t getting into treatment, the real reasons why. No other agency is doing that,” Art adds. Marie's work (and thus FAP's work) is supported first and foremost by the Counties of San Bernardino, Riverside, and Los Angeles, and the State of CA, which includes federal Ryan White Act funding that flows thru the states and counties to local public and private organizations. These public entities underwrite a bulk of our professional social work services, and their annual audits of our client service logs continue to shine squeaky clean--given Marie's leadership and attention to these important details. Beyond the above services, Marie can address our clients' most critical unmet needs with funding from private entities like Kaiser Permanente, AIDS Health Care Foundation, the San Manuel Mission Band of Indians, as well as with funds from Macy's, Nordstroms, BJ's Restaurants, and Union Pacific. Individual donors can support Marie's work with tax-deductible gifts large or small via our website at fapinfo.org.